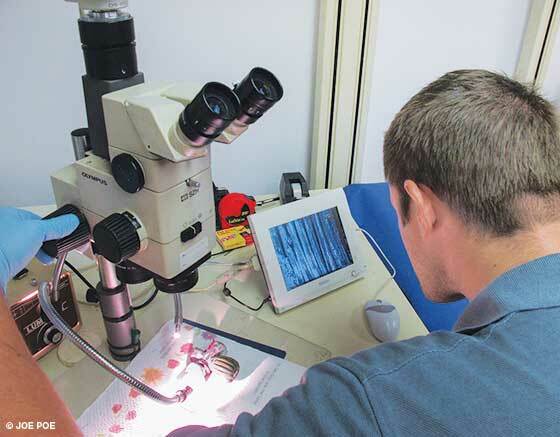 Ensure your dive shop has properly trained and certified technicians. 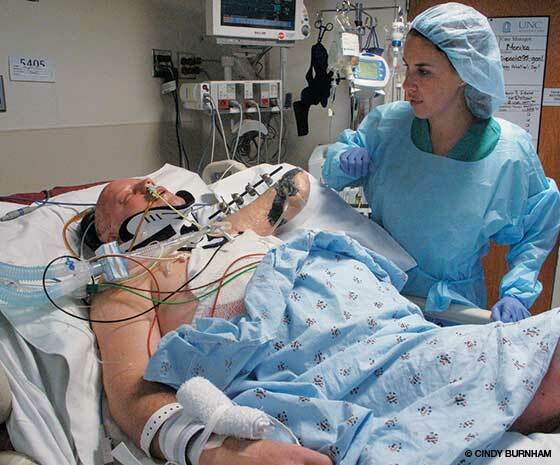 In January 2011, diver Rick Allen was severely injured by an exploding oxygen cylinder; he spent the next two months in an induced coma at the Jaycee Burn Center at UNC Health Care in Chapel Hill, N.C.
As Rick Allen entered his garage on Jan. 3, 2011, at approximately 11:15 p.m., his left knee bumped a green-painted 40-cubic-foot aluminum Luxfer scuba cylinder. The cylinder, which contained pure oxygen, began to wobble as he stepped further into the garage. Then the world exploded, and Rick's life would never be the same. Rick does not recall whether the cylinder hit the 80-cubic-foot tank next to it, but he does not think it fell to the floor. What he does remember is a bright flash, a concussive force that sheared off his left arm at the elbow and the heat of flames searing his skin and burning his clothes from his body. Standing amid the hellish destruction of his garage, Rick called to his wife, Cindy Burnham, for help. She had been blown out of the bathroom on the other side of the garage wall and was cut and bleeding. But she managed in her bare feet to tread through the broken glass of the kitchen and find a fire extinguisher that she used to put out the flames that engulfed her husband. Rick would spend the next two months in a medically induced coma and seemingly endless months thereafter in physical therapy, undergoing numerous surgical procedures and skin grafts and learning to use a mechanical arm. In June 2012, after months of exhaustive investigation, Rick and Cindy filed suit against the dive shop that serviced Rick's tank. The suit claimed the tank had not been properly oxygen-cleaned and was contaminated when it was returned to Rick and that this contamination led to the explosion. The dive shop owners denied any improper action and alleged contributory negligence by Rick. An engineer expert photographs the ruptured tank prior to the removal of the valve. Rick hired engineers who would testify that the explosion could have occurred only if the tank was contaminated. But even if a jury could be convinced that fuel was improperly present in the cylinder, the source of ignition was still unclear. The shop claimed Rick was negligent in bumping the tank; in Rick's state, North Carolina (and only a few other states), proof of contributory negligence would completely bar any recompense. 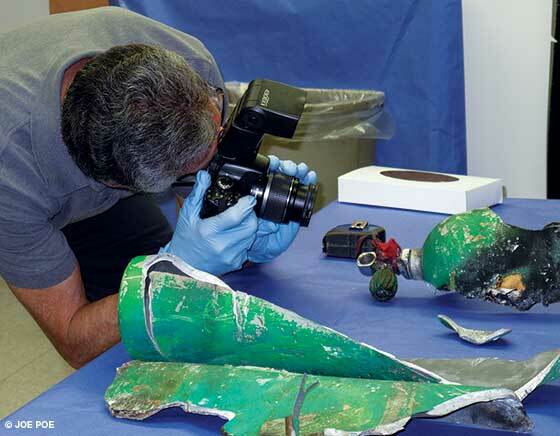 Most of the pieces of the tank were recovered and had been thoroughly inspected and photographed, but the valve was still screwed into the tank neck. The intense fire and explosion meant that testing the inside of the tank for contamination probably would not yield any results, but there was a chance something could be found between the valve and the neck. On May 23, 2013, all parties gathered at the lab of Rick's engineers, where the valve was cut out of the tank neck and analyzed with a scanning electron microscope (SEM). When the microscope technician noted an anomaly, he would use the microscope to bombard it with electrons to analyze its elemental composition. Upon examining one particular anomaly, a chart appeared on the screen showing the substance was almost pure silicon. Silicon lubricant is not compatible with a high-oxygen environment and is inappropriate for use in oxygen-cleaning scuba tanks. Subsequent evaluations of other anomalies revealed more silicon. The contaminant had been found and identified. Ivan Collins, Rick’s engineer expert from Accident Reconstruction Analysis Inc. (ARAI), photographs the valve using an optical microscope prior to its examination in the scanning electron microscope. Further investigation revealed that the person who serviced Rick's tank did not have proper training in oxygen-cleaning tanks or even a sufficient understanding of the theory behind the process. Nor did he have any technical-diving experience, despite the fact that the store presented itself as a technical-diving enterprise. Much to Rick's amazement and contrary to his specific request for inspection, oxygen-cleaning and hydrostatic testing, no matter the cost, the dive store had only oxygen-cleaned the tank and had not performed any maintenance on the valve. The ignition source was still unclear. Many things can cause ignition, including static electricity, chemical reactions, electrical arcs, friction, acoustic resonance and more. A few divers who have cracked open valves of non-oxygen-cleaned scuba tanks filled with pure oxygen have been unpleasantly surprised by eruptions of flame — an example of particle-impact ignition (heat created from the impact of high-speed oxygen particles striking the inside of the valve). The issue of contributory negligence remained. For the defense to succeed it would require a jury to find that a reasonable person could have foreseen that bumping the tank would produce an explosion or some similar injurious result. Rick's witnesses included dozens of scuba divers, dive boat operators and other diving professionals ready to testify that tanks are dropped and bump into each other often on dive boats, and no one would expect a properly oxygen-cleaned tank to explode. However Rick's legal team decided to step out of the realm of scuba diving and present a scenario that jurors without any knowledge of diving could understand: medical oxygen tanks. Most everyone has seen an elderly person wheeling around a small cart with a green medical oxygen tank — quite likely one identical in size to Rick's 40-cubic-foot decompression tank. Shoppers occasionally witness these carts bumping into grocery-store checkout counters, and family members see their relatives knock them over in the process of switching them out. But they do not blow up. It would be unthinkable for a juror to blame the user of a medical oxygen tank for an explosion because it would be unreasonable to foresee such an event. Rick dives the Hutton off the N.C. coast in May 2014. His stainless-steel, carbon-fiber and titanium arm, which was designed for saltwater immersion, was created by the prosthetics department at UNC Health Center. The lawsuit was ultimately settled in mediation very favorably for Rick and Cindy, and they are in the process of moving past the trauma. 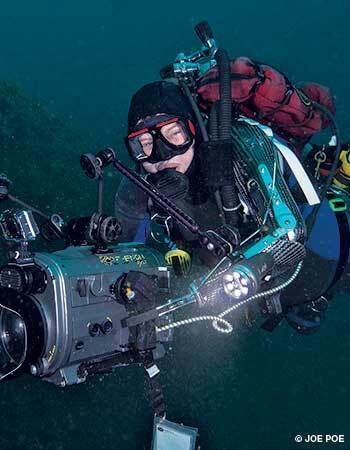 Rick returned to diving with a specially made titanium and carbon-fiber prosthetic arm and is continuing his videography career with an emphasis on producing and directing. The dive shop closed at the end of 2010 as a result of a business decision made before the explosion occurred. Rick's answer to his survival is his and Cindy's experience and training: "I knew if I panicked I would die. Multiple fire extinguishers, cotton clothes (naturally flame retardant), our survival training and a lack of panic by either Cindy or me were instrumental in saving my life that night." 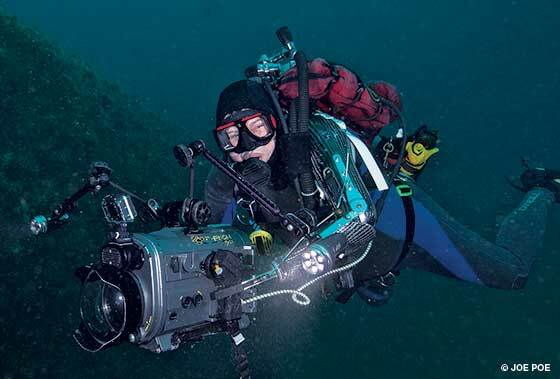 "In the end," Rick said, "as a diver, you need to do your due diligence in making sure that your favorite dive shop has the trained staff, certifications and experience to properly serve your needs." As divers we often take for granted that others — dive shop employees, boat captains, crews, divemasters and guides — are properly attending to our safety. But complacency is unforgiving in the underwater environment. As Rick says, we need to ensure we all have the training, knowledge and experience that enables us to avoid problems altogether and, if trouble does arise, to be prepared to meet the situations we encounter without panic and with confidence in our ability to solve and survive. While we are often required to place our trust, and safety, in the abilities of others, we should never be afraid or hesitant to do all that is reasonable to verify that trust. Joe Poe is a technical diver and was Rick Allen's attorney in this case. Poe's diving experience was extremely important in the prosecution of the lawsuit and the direction of the investigation by the engineering experts.